SARASOTA (WWSB) - This Friday is the deadline for homeowners to apply for the ‘Rebuild Florida’ program. The program will help low-income Floridians in all or parts of 14 counties pay for still uncompleted home repairs caused by damage from 2017′s Hurricane Irma. 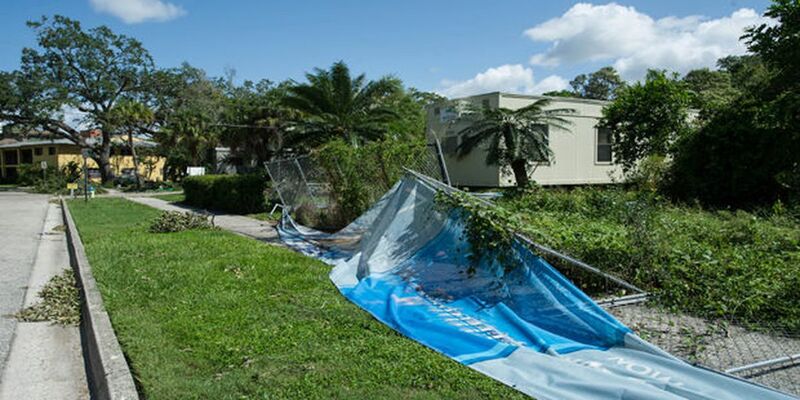 The state Department of Economic Opportunity (DEO) announced the ‘Rebuild Florida’ program last September, with a goal of helping homeowners pay for still uncompleted repairs caused by damage from the storm. DEO is partnering with the U.S. Department of Housing and Urban Development to use hundreds of millions of dollars to fix or replace damaged homes and trailers, while completing many partially repaired housing units. Priority use of the funds will go to low-income families with elderly residents or minor children, as well as individuals with disabilities. DEO Executive Director Ken Lawson says many people are still struggling, even after insurance payouts and help from government programs. He says anyone in an affected community should apply for the assistance. “There are still blue tarps on roofs and people suffering. We want to make sure that those who have been harmed by Irma know that we haven’t forgotten at DEO. We are here to assist them with restoring their home," Lawson said. The counties eligible for funding include all of Duval along with portions of Bradford, Clay and Flagler counties in northeast Florida. In South Florida, the counties of Monroe, Broward, Collier, Lee and Miami-Dade are eligible along with portions of DeSoto. Finally, all of Brevard, Orange, Polk and Volusia counties in Central Florida Are eligible. To find if you qualify for assistance or to sign up by the Friday deadline, visit www.RebuildFlorida.gov.